Ah friends, it’s Friday number fifteen. And I could not be more excited to tell you about the new paperback version of Friday’s Rain: revealing what grief washes away. It’s real pretty. Some of you joined in on last year’s e-version release and I can’t thank you enough for the amazing feedback. This summer, not only is it available in paperback but I’ve ALSO added a week, making it a summer-friendly six-week bible study, great for individuals or groups. And I know grief is a scary topic, but as life teaches us how to lose things, let me dare you to pick up this book and find Life from Loss. Also, the new week is, no joke, on Martha and Lazarus. I was in final edits when we started living our miracle. Never would I have dreamt that Martha and I would walk such a parallel path, being asked to declare who our God is in the midst of the darkness, and standing in awe as the stone of death was rolled away. we are deeply loved, by a wild Belover. All this month, I’ll be sharing more about this study that brings a part of my heart and soul to your table. I can’t wait to hear how God reveals more of Himself to you through it. ORDER HERE, and be sure to use the code FRIDAY15 for free shipping this week! You guys, Jesus is so funny. I think we will have some good belly laughs someday. Like that time He asked the barren woman to give the message on Mother’s Day. I mean, who doesn’t want to hear about infertility. At Church. On Mother’s Day. But really, this is about learning to be His child while I pursued being a mom. And just how BRILLIANT this God of ours is even though He – and life – are often not what we planned. In the face of barrenness – of loss, disappointment, confusion, emptiness, whatever the variety – Isaiah tells us to sing, and to make room for more, not less. So this was my Mother’s Day song. Also, don’t worry, I don’t really sing. It’s an analogy. 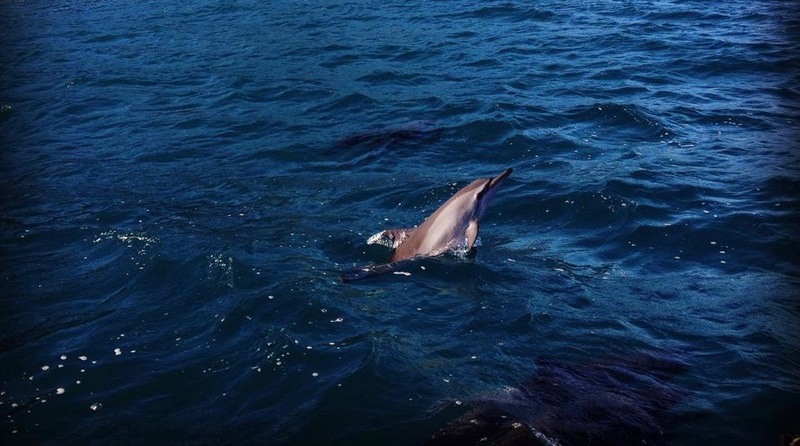 As are the dolphins. P.S. Loss doesn’t have the last word. That’s why I wrote “Friday’s Rain“. It can get uncomfortable, right? Mother’s Day has all these rules now. I mean, it can get a little overwhelming. As a non-mom, I’ve got some messy thoughts on this messy subject. I mean, the day is about Moms. And I’m not one. So it’s not my party. But there’s all this talk about how I should be treated on their day. Wha???? The thing is, we are uncomfortable with being uncomfortable. And I get it. 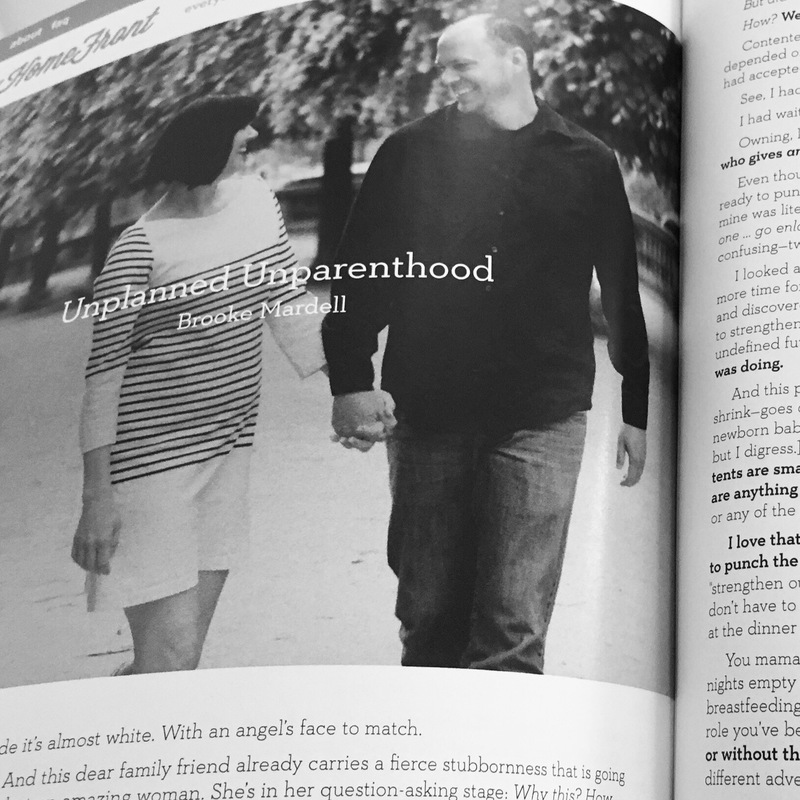 My heart has bled on Mothers’-Days-Past as I wrestled with my unplanned unparenthood. But it’s also bled on Christmas and Fourth of July and days ending in Y. Pain is no respecter of holidays and dates. And pain also isn’t satisfied with being just the boss of its victim – it wants to be the boss of everyone in the room. Pain would love nothing more than to see a room full of people feeling awkward and unsure how or if to celebrate something because it will make someone else uncomfortable. This isn’t about embracing pain. I don’t like pain. I don’t like discomfort. I’m not the girl who signs up for the gym because it-hurts-so-good. Also, I don’t sign up for the gym for any other reason. But I do know that pain and celebration can happen at the same time. That they can GIVE to one another instead of taking away. There’s this sacred dichotomy of grief and celebration happening all around us every. single. day. And if we let it, it can make us stronger. A few years ago, my bright-eyed-newlywed baby sister and I were out Christmas shopping. Now, you should know that she is ten years my junior, surpasses me in all things hair and makeup, is an opera singer and a beauty queen (literally) but somehow not a drama queen. Oh, and she farts rainbows. So there we were. As we crossed the parking lot, her little button nose wrinkled up at the scent of grease wafting towards us from a fast-food restaurant. “What, are you pregnant?” I asked, jokingly-because-of-course-she’s-not-pregnant-she’s-a-baby-and-babies-can’t-have-babies-what-a-funny-joke-I’m-making-ha-ha-ha-ha. But then her feet stopped, her eyes widened, and she silently nodded yes. You guys, my world fell out. I’d traversed hundreds of pregnancy announcements from the time we started “trying”, but my BABY sister was going to have a BABY? Nothing humbles you faster than the ugly cry. In public. In a parking lot. And bless it, that was my reaction to my baby sister’s news. It definitely wasn’t the way she wanted to deliver it; it definitely wasn’t the way I wanted to receive it. But I’m so glad that neither of us had a chance to be fake in that moment. I’m so glad we didn’t have time to prepare or take deep breaths or brace ourselves or plan speeches. I’m so glad there was no time for white gloves. Together we hugged and cried and wiped snot (our own, not each others – mostly), and we found our way THROUGH it, not around it. And you know what, it was hard. Like hard-hard. 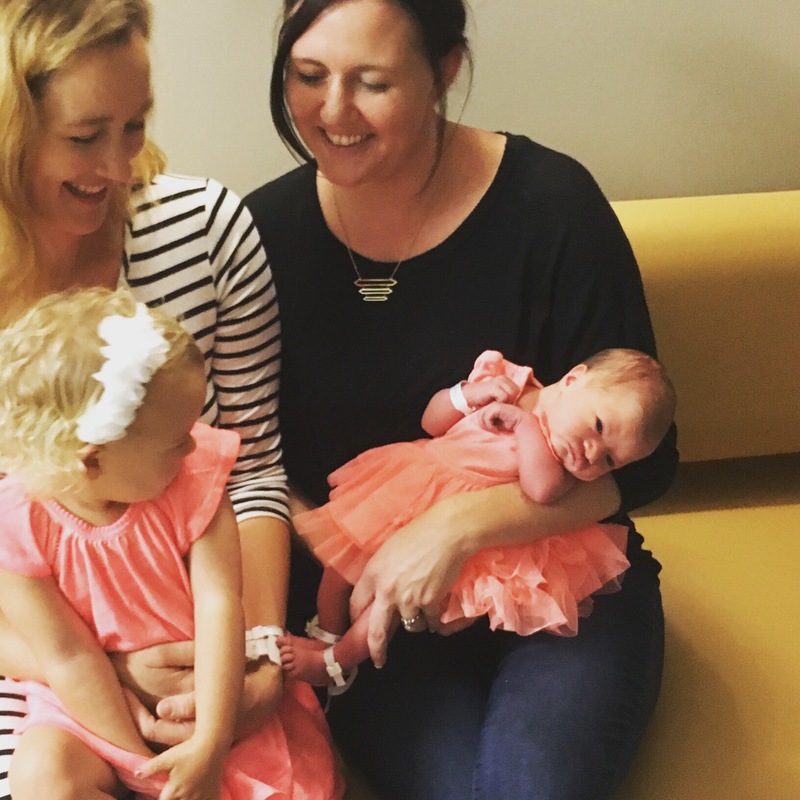 At Christmas she announced their news – she made cute little jerseys for each of the littles that make up the family “team”. Each had their number, their birth order number, on the back. It was adorable. And painful as hell. Because with each kid that unwrapped a jersey number, 1-9, and as my parents opened their “surprise Number 10”, I was sitting there with a big fat zero. But my zero and her 10 were two totally completely separate things happening. They were both happening at the same time, but they were not the same thing. With the snot-fest out of the way, we got to have crazy-real conversations throughout her pregnancy. I was honest when it was hard. She was honest when it was hard. Spoiler alert: sometimes it can be just as hard to figure out how to celebrate while someone you love grieves, as it is to figure out how to grieve while someone you love celebrates. Also, she just had her second baby. Powering through the grief storm together makes these celebratory moments that much richer. See, every day we encounter those who are grieving and those who are celebrating. Sometimes we know it – often we don’t. At every wedding, there is someone grieving the pain of divorce. At every birthday party, there is someone grieving the death of a loved one. At every Church service, there is a mama celebrating as her son walks with the Lord while another mama grieves as her son has walked away from Him. At every grocery store and fairground and park and office and schoolroom there is a heart that is full and a heart that is empty. 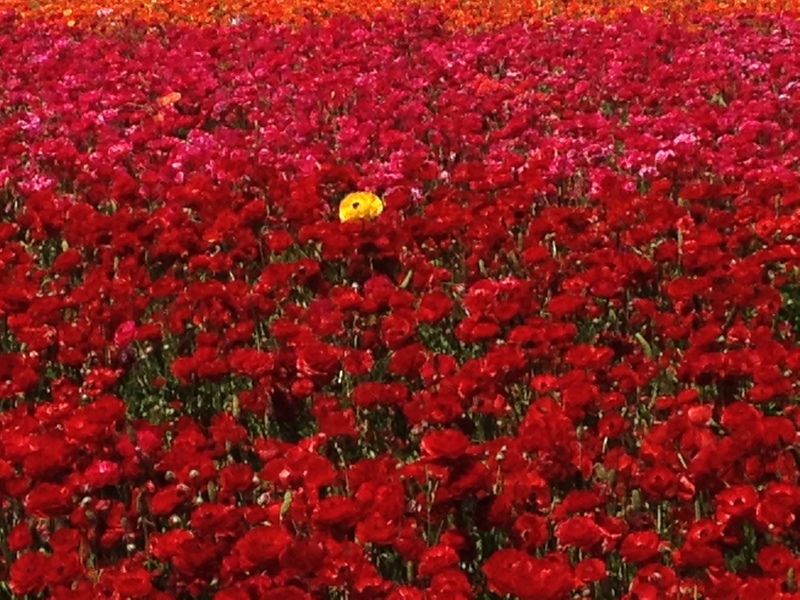 Please don’t give me a rose on Mother’s Day. Please give it to those who didn’t get a full night’s sleep. Who respond to “why?” and “what for?” and “how?” hundreds of times a day. Who juggle soccer schedules and math homework and dinner menus like a champ. I want both to be okay. Because both are okay. Even when it hurts. Even if it’s uncomfortable. Because it’s okay to be uncomfortable. Really. It can get uncomfortable, right? Mother’s Day weekend is here. And there are all these rules now. I mean, it can get a little overwhelming. I’ve seen a lot of posts and comments and blogs about taming down the Mother’s Day hoopla to protect us non-moms out there. At grocery stores. Amongst friends. And at Church. I’ve got some messy thoughts on this messy subject. It’s gotten me thinking about how uncomfortable it is to be uncomfortable. Because many of the voices are speaking from pain. And I get it. My heart has bled on Mothers’-Days-Past as I wrapped my head around my unplanned unparenthood. But it’s also bled on Christmas and Fourth of July and days ending in Y. Pain is no respecter of holidays and dates. And pain also isn’t satisfied with being just the boss of it’s victim – it wants to be the boss of everyone else in the room, too. Pain would love nothing more than to see a room full of people feeling awkward and unsure how or if to celebrate something because it will make someone uncomfortable. This isn’t a post about liking pain. I don’t like pain. I don’t like discomfort. I’m not the girl who signs up for the gym because it-hurts-so-good. Also, I don’t sign up for the gym for any other reason. But I do know that pain and celebration can happen at the same time. That they can GIVE to one another instead of taking away. That there’s this sacred dichotomy of grief and celebration happening all around us every. single. day. And if we let it, it can make us stronger. A few years ago, my bright-eyed-newlywed baby sister and I were getting some last-minute Christmas shopping done. Now, before this story continues, you should know some important details about this sister of mine. She is ten years my junior, surpasses me in all things hair and makeup, is an opera singer and a beauty queen (literally) but somehow not a drama queen. Oh, and she farts rainbows. So there we were. As we crossed the parking lot, her little button nose wrinkled up at the scent of grease wafting towards us from the local fast-food restaurant. “What, are you pregnant?” I asked, jokingly-because-of-course-she’s-not-pregnant-she’s-a-baby-and-babies-can’t-have-babies-what-a-funny-joke-I’m-making-ha-ha-ha-ha. But then her eyes widened, her feet stopped, and she silently nodded yes. And bless it, that was my reaction to my baby sister’s news. It definitely wasn’t the way she wanted to deliver it; it definitely wasn’t the way I wanted to receive it. But holy cow am I ever glad that neither of us had a chance to be fake in that moment. I’m so glad we didn’t have time to prepare or take deep breaths or brace ourselves or plan speeches. I’m so glad there was no time for white gloves. Together we hugged and cried and wiped snot (our own, not each others, thank you), and we found our way THROUGH it, not around it. And you know what, it was hard. Like hard-hard. At Christmas she announced their news to the whole family. She made cute little jerseys for each of the cousins, all the littles that make up the family “team”. Each had their number, their birth order number, on the back. It was adorable. And painful as hell. Because with each kid that unwrapped a jersey number, 1-9, and as my parents opened their “surprise Number 10”, I was sitting there with a big fat zero. Celebrating her was not a way of not celebrating me. And we had to learn that. Together. With the snot-fest out of the way, we got to have real-real conversations throughout her pregnancy. I was honest when it was hard. She was honest when it was hard. Spoiler alert: sometimes it can be just as hard to figure out how to celebrate while someone you love grieves, as it is to figure out how to grieve while someone you love celebrates. Every day we encounter those who are grieving and those who are celebrating. Sometimes we know it – often we don’t. At every baby dedication, there is someone in the room feeling the ache of empty arms. Please don’t give me a rose on Mother’s Day. Please give it to those who didn’t get a full night’s sleep. Who have wiped snotty noses. Who respond to “why?” and “what for?” and “how?” hundreds of times a day. Who juggle soccer schedules and math homework and dinner menus like a champ. Because celebrating her is not a way of not celebrating me. I want us to teach each other that. Together. In my Community, my Church, my Family, I don’t want us to tame the celebration, and I don’t want us to tame the grief. I want to be in a place where both grief and celebration have a chance to play into one another and say “aha, yes, I see you there.” I want both to be okay. Because both are okay. Even when it hurts. Even if it’s uncomfortable. Because it’s okay to be uncomfortable. Really. Let’s trade tame for real this Mother’s Day. And every day. P.S. Pain doesn’t have to STAY the boss of any of us. In fact, that’s why I wrote “Friday’s Rain“. Are you one-in-a-_________? Me too. Being one brings pain. Being one-of-a brings power. 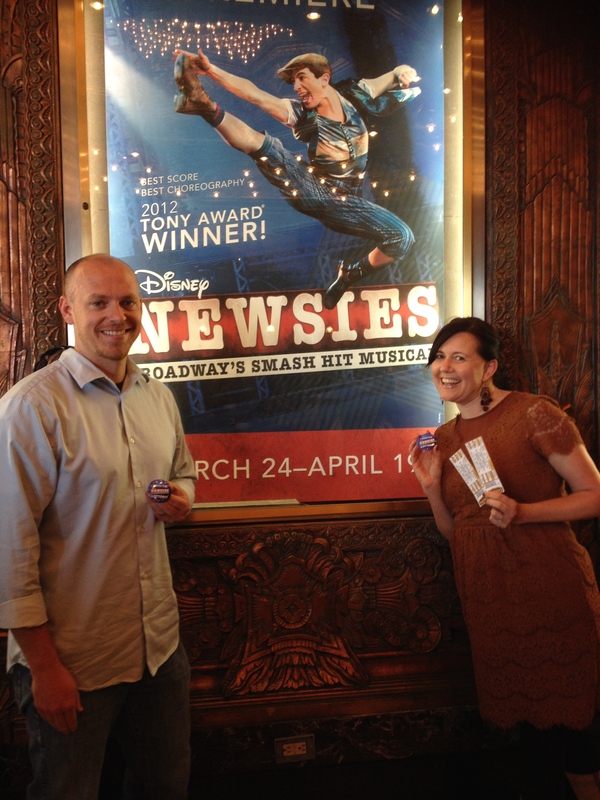 A few weeks ago I talked my man into taking a day trip up to LA to enter the Newsies lottery for day-of tickets at the Pantages. And by talked into I mean I said “hey you wanna do this?” and he said “yeah”. I know, I’m really very convincing. We got in line right on time (rule-follower here), and they said they’d be lottery-ing (is that a word?) 26 tickets. Several of us started counting. There were about 26 of us in line. Boom. But then all these other people started showing up. Not on time. I’m just sayin’. By the time they called tickets, there were a lot more than 26 entries. Sigh. Our chances were now about 1 in 5. About halfway through the call-outs, I hear my name. It was a good day to be one in five. Here’s my cheesy smile to prove it. And really, being one-in-a-___________ is awesome when you’re winning something. But there are other days that one-in-a-_________ is a punch in the gut. I’m one in eight women experiencing infertility. One in about eighty experiencing infertility without any explanation. As National Infertility Awareness week ends, I find it no small coincidence that this very morning I’ll be in a room filled with brave stories at the Choose Joy conference, sharing both smiles and tears. There’s something fiercely powerful about bringing a bunch of one-in-a’s into the same room together. … like a nine-year-old cancer warrior with rare genetic disorder that makes him susceptible to recurring cancer – chances are one in about 1.4 million. … like having an in-utero test to tell you whether your baby has Down’s syndrome because other factors make the chances about one in forty. … like a cancer that’s so rare it doesn’t even have a name and is only fatal when combined with another rare condition, both of which your husband had – chances are one in a million. Squared. 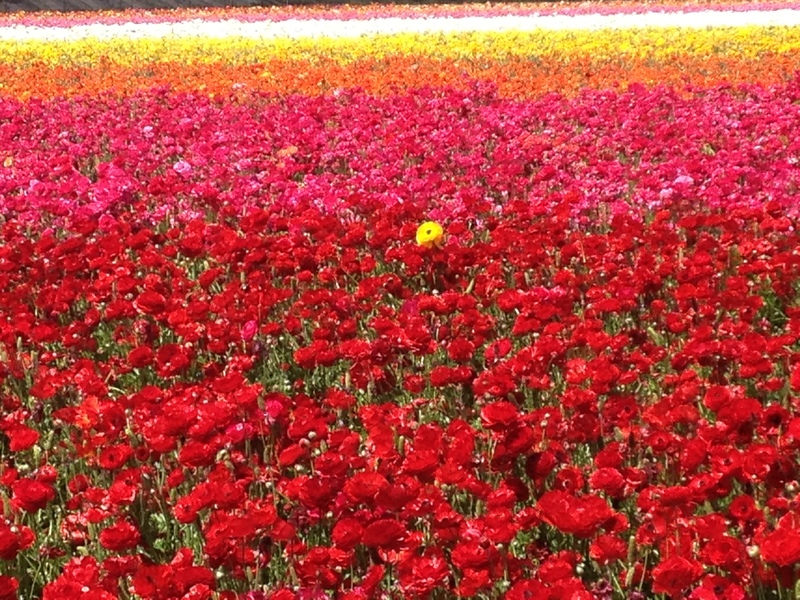 The thing about being a one-of-a is that you feel so utterly alone when the diagnosis is handed down. And you are. I mean, no one else has ever been you, facing this specific circumstance at this time in history. Isn’t that exactly what we need to hear when we find out we are one-in-a-________? See, I’m normal. I’m one-of-a-new-normal. 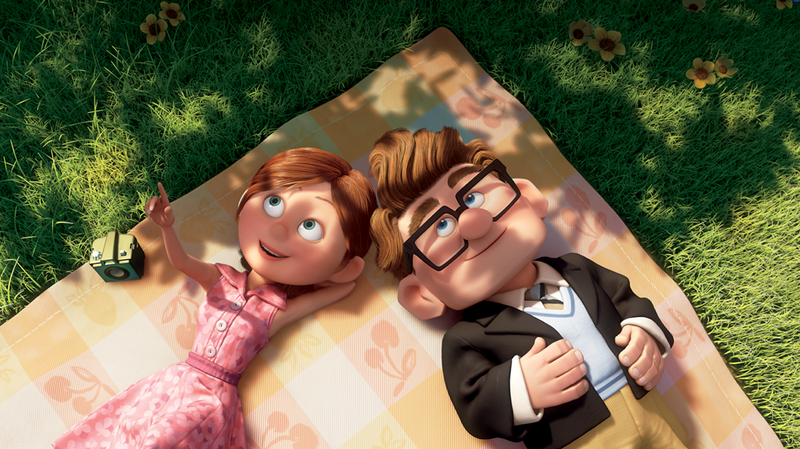 So sister, whether you’re one-in-a-handful or one-in-a-million, you. are. not. alone. Find your people. Find your “of-a”. They need you just as much as you need them. True confessions time: we have a childless-fist-bump. Yep, it’s a thing in our house. It’s code for dodged-a-bullet-there moments. We can deliver it quite subtly. Sometimes. Other times we get caught. Just a month ago we got caught during Church, as our friend realized what we were doing and barely stifled a laugh. It might sound odd that the girl who’s poured out her heart in longing for a baby also bumps knuckles to celebrate childless moments. And really, it took a lot of tears before I could make it to the cheers. The fist-bump is about celebrating the as-things-are-right-now moments, without thinking about whether they’ll stay that way. For today, we’re childless. And while that has brought ache, there are also a lot of things about our lives that are way easier than all those poor suckers who ARE parents. 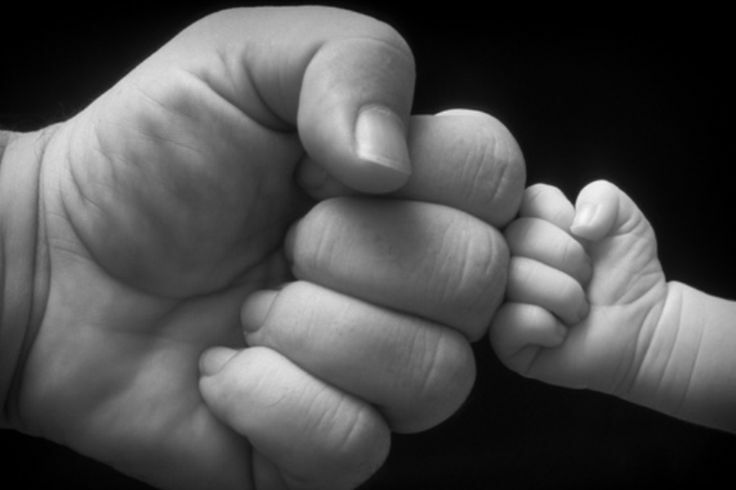 The first rule of the childless-fist-bump is that it’s never used in condemnation. Grace, grace. We are in humbled awe of people raising little people. The second rule of the childless-fist-bump is to attempt subtlety whenever possible. No flaunting. This may or may not be more of a “guideline” as we age. The third rule of the childless-fist-bump is to use it properly. As Auntie Boo and Uncle J, we have plenty of snot-faces to clean, boo-boos to kiss, and tantrums to survive. And we love all the littles in our life. Fiercely. It’s just that AT SOME POINT THEY GO HOME. Cue fist-bump. … when a toddler is throwing a tantrum in the grocery store … or at Target … or in the parking lot … or at the movie theatre … or at the park … or at Disneyland … actually, especially at Disneyland. … while in line for TSA at the airport. Yep, you frequent flyers know what I’m talking about. … when a long drippy piece of snot is snaking it’s way down a child’s face and into their mouth. GAH! I can hardly type it. … when we get to go to sleep WHENEVER. WE. WANT. TO. … when we get to stay in bed AS. LONG. AS. WE. WANT. TO. … when we have only two schedules to consult before booking a trip. No cross-referencing with school, soccer, dance, gymnastics or chess matches (hey, our kid could’ve been a chess genius, it’s possible). … when our house is QUIET. Which is almost always. Amen. … when we hear about labor and delivery. Any of it. All of it. Really, the childless-fist-bump started as a way to capture small victories, small moments to defeat the emptiness and replace it with reminders of the good. Is there any part of your life that needs a fist-bump right now? When you’ve cried enough, it’s time to laugh. And while not intentionally directed at infertility, I don’t know if I’ve seen a funnier video than this. This post is dedicated to “the other side” of infertility loss, as Resolve.org hosts National Infertility Awareness Week. For a more serious take, go here … or here … or here. And for medical facts on the disease, go here. For some ideas on how I came to “the other side”, go here and here. She’s got angel’s hair. You know the kind. So blonde it’s almost white. With an angel’s face to match. She’s four. And precocious. She already carries a fierce stubbornness that is going to make her a challenging teen but amazing woman. She’s in her question-asking stage – you know the one. Why this? How that? I know some of the answers, but not all. 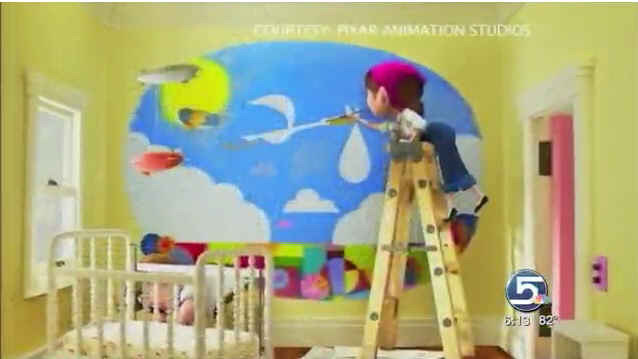 When they started painting the nursery, she turned to me with a conspiratorious smile and half-whispered she’s going to have a baby. I then saw her head go sideways when the next scene shows Ellie sobbing in the doctor’s office: why is shy crying? Ah, this answer I know. She’s really sad because she isn’t going to have a baby like she thought, I answered. Why can’t she have a baby? Well, not everyone gets to. She let that answer sit – I could see that it was brand new information for her brain. Contended, Charlie snuggled in, took a deep sigh, as if the breath she’d been holding had depended on how I answered that question. The rest of the movie continued question-free. But as I snuggled my arms around this fierce-wee-angel-girl, I too took a deep sigh, knowing that in that moment I wasn’t only answering for Ellie, but for me. 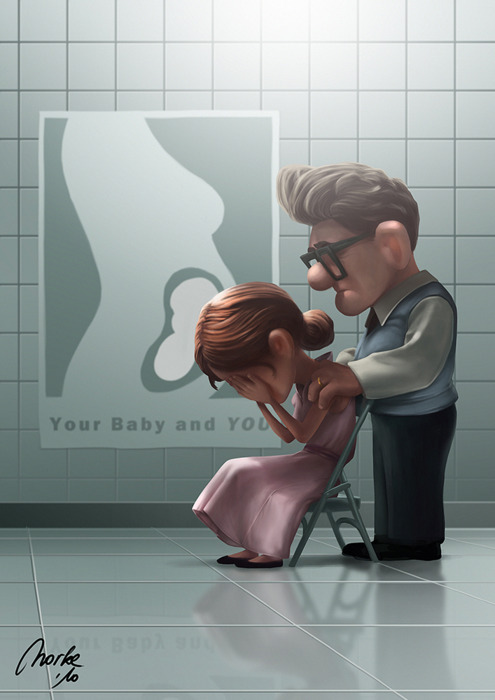 It’s National Infertility Awareness week again. I’ve written a lot already about the grief of infertility, giving voice to some of the unique aspects of this type of loss, especially as your hopes, your faith, your marriage and your friendships are all affected when a pee stick becomes your companion. This year I want to dedicate a few posts “from the other side”. Not the other side of infertility. That will always be a part of my story. Even if I get pregnant someday. And yes, also if I adopt someday. I mean the other side of “trying”. The other side of the ugly tears. The other side of the doubt and crippling fear. Sometimes it’s tricky to share about grief and it’s honest depths because it’s easy to leave people feeling like you’re perpetually in that state. And it’s equally tricky to share about “the other side” because there are people that like to pretend that the ugly never happened. May we never be pretenders, my friends. Because the reality is this: “the other side” has parts that are stronger, parts that are still tender, and even parts that are actually, well, awesome. If you’re grieving, be it through infertility or another sacred loss, you will have a different adventure than the one you’d hoped for. I don’t know what that is. And I DO know what it’s like to want to punch someone in the face when they use those words to “console” you. I also know that grief is a window, not a wall. 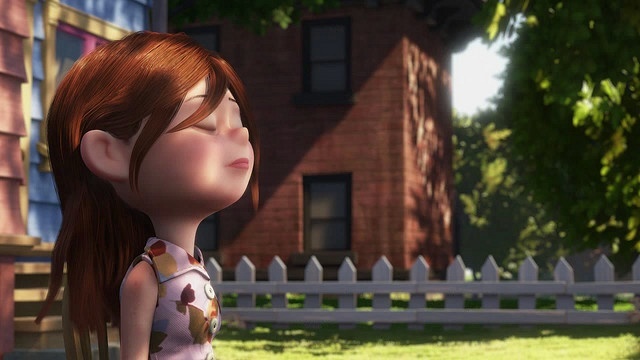 That if Ellie hadn’t sat in her tears, hadn’t sat in her backyard to grieve the future she was losing, then her “adventure book” would have had an undertone of unresolved resentment and not even three hundred colorful balloons could have redeemed the movie. But she did sit through it. 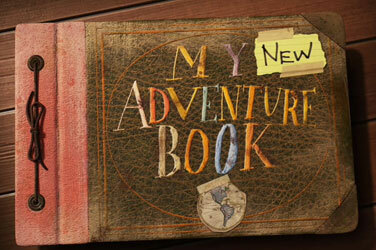 So when her different-and-not-at-all-what-she-expected-adventure continued, she was ready for it. She found her happy ending by being honest in her sad beginning. So this week, in honor of the “You are Not Alone” theme set out by Resolve.org, I want to share that not only are you not alone, but you are not doomed. Did she get happy again? Yes, yes she did. She had a different adventure. P.S. 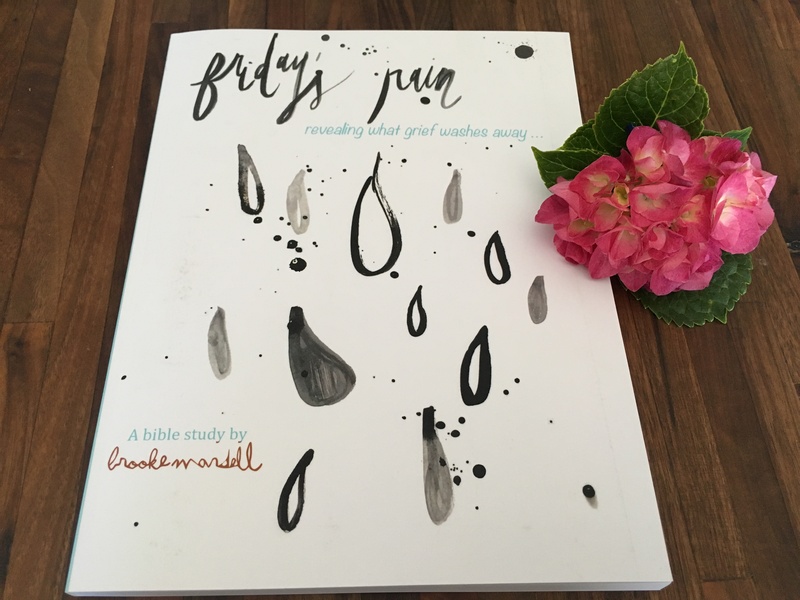 Next week I’ll be releasing an E-Bible Study: Friday’s Rain: revealing what grief washes away. It’s a journey alongside four characters in Scripture, journeying through their grief. I know God has a lot to say to us about loss and grief, whichever “side” of it you’re on. Subscribe here to receive download link. P.S.S. If you want to know more about the basics of infertility as a disease, click here. Or about NIAW, here. It’s not just the word-play, though I’ve always been a fan of those. Not puns, mind you, but word-play. Empty Tomb. Empty Womb. I know the second one very well. I’ve written about it plenty. Much like Peter, I found myself lost on ‘Friday’, struggling with a storm of unexpected emotions. Maybe you’ve got an empty space that’s stirred up a storm, too. I spent a couple years trying to hold those emotions at bay. I’m not saying I did keep them at bay, but I gave it a valiant effort. But when the dam broke, I had to dig in to my empty place because you can’t heal from what you don’t first acknowledge. I had to spend some time listening to my Empty Womb. Because then I was able to listen to the Empty Tomb. Which tells me that after death, life can be found. That loss doesn’t have the last word. That my story has a different ending than I’d expected. And a different beginning. Why indeed. I think it’s because it’s where we know to look. If we’re in mourning for something lost, for whatever is our EMPTY PLACE, then that’s where we know to go. Where we know to search. In fact, I’d say it’s where we need to start. But it’s not where we need to finish. Yes my womb is still empty, but so is Christ’s tomb. What about you? What is your EMPTY today? Have you gone there? Do. Even if you’re scared. Go there and search. Run like Peter did. It’s where you’ll find out where to find Jesus. And maybe He’ll be right there when you turn around, with a clear-cut answer, like He was for Mary. Or maybe you’ll just get a clue, a hint, a reminder, and later He will find you while you’re at work. Like Peter. The Empty Tomb tells our empty places that hope may look quite different than we’d thought, but Hope is nonetheless alive. And his name is Jesus.